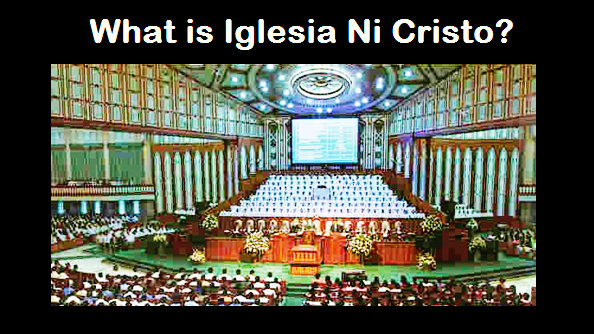 THE IGLESIA NI CRISTO: Felix Y. Manalo an Angel and Jesus Christ a Man? 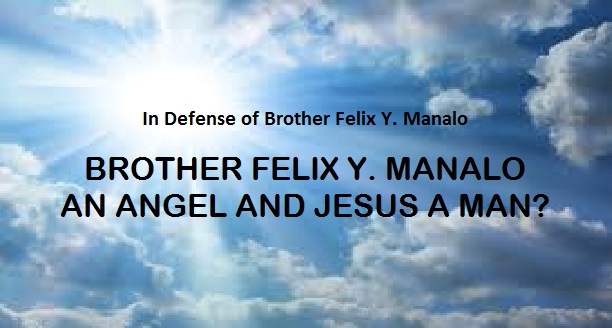 BROTHER FELIX Y. MANALO AN ANGEL AND JESUS A MAN? 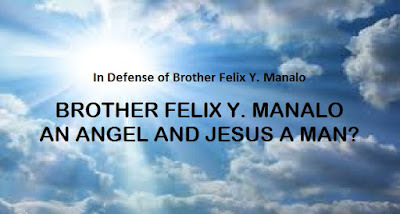 Iglesia Ni Cristo detractors asked, "If Felix Y. Manalo is an Angel and the Lord Jesus Christ is a Man, how come that a Man is higher than an Angel?" They also asked, "If Felix Y. Manalo is an Angel, why he died when angels are spiritual being and they are immortal or they don't die?" THE TRUTH IS, they asked these questions because they misinterpreted and misunderstood the doctrines or teachings of the Iglesia Ni Cristo. We never said that Brother Felix Y. Manalo is an "angel" in his state of being, a "heavenly being," or a "literal angel." What we are saying is that Brother Felix Y. Manalo is the fulfillment of the "other angel" prophesied in Revelation 7:2-3. An angel of the Lord was sent to Zechariah (the father of John the Baptist). This angel said to Zechariah, “I have been sent to speak to you…” the Bible called Gabriel an “angel” not because he is a heavenly being, but because he was SENT by the Lord. “And when they went their way, Jesus began to say to the multitudes concerning John: What went you out into the desert to see? a reed shaken with the wind? “But what went you out to see? a man clothed in soft garments? Behold they that are clothed in soft garments, are in the houses of kings. “But what went you out to see? a prophet? yea I tell you, and more than a prophet. Referring to John the Baptist, the Bible said, “Behold I send my angel before thy face.” It is clear here that John the Baptist was called an “angel” of the Lord. Take note that Douay-Rheims Bible is a Catholic version. Because the word “anggelos” indeed meant “messenger” that’s why many English version of the Bible translated the “aggelon” of the Greek text of Matthew 11:10 as “messenger.” Thus, Douay-Rheims is not wrong in translating it as “angel” because the Greek word used by Matthew 11:10 (referring to John the Baptist) was also the Greek word used by Luke 1:19 (referring to the Angel Gabriel). Please ponder this: Is John the Baptist a human being or a heavenly being? He is a human being. Did John the Baptist died? Yes he died. Did the Bible call John the Baptist an angel? Yes it did. Thus, the word “angel” was used by the Bible referring both to heavenly beings and human beings who were sent by God. The word literally means “messenger” and does not denote the nature but the office of the one sent by God. “He had in His right hand seven stars, out of His mouth went a sharp two-edged sword, and His countenance was like the sun shining in its strength. Please ponder this: Are the bishops of the seven churches mentioned by the Book of Revelation heavenly beings or human beings? They are human beings. Did the bishops of the seven churches died? Yes, as human beings they died. Did the Book of Revelation call them “angels”? Yes it did. Thus, the Book of Revelation used the word “angel” referring both to heavenly beings and human beings. Because the literal translation of the word “aggelos” is “messenger,” thus the “other angel” of other English versions of the Bible was rendered by Young Literal Translation as “other messenger.” Hence, when the Iglesia Ni Cristo (Church of Christ) teaches that Brother Felix Y. Manalo was the fulfillment of the “other angel” mentioned in Revelation 7:2-3, it means that he is the “other messenger” prophesied by Revelation 7:2-3 and NOT that he is a “literal angel,” or a “heavenly being,” or an “angel” in state of being. Thus, although Brother Felix Y. Manalo was the fulfillment of the “other angel” prophesied in Revelation 7:2-3, however, he is still human in nature, a man, who was sent by God in these last days. Remember that even Catholic authorities testify that the word “angel” does not denote the nature but the office of the one sent by God. Thus, when we speak of the state of being (nature) of the Lord Jesus Christ, He is a man as He Himself explicitly said, but when we speak of His attributes, He is “a very special man”: the Son of God, the Lord, the Savior, and the Mediator between the one true God (the Father) and Man. Brother Felix Y. Manalo is the fulfillment of the prophesied “other angel” ascending from the Rising of the Sun (cf. Rev. 7:2-3), or “other messenger” ascending from the East (Rev. 7:2-3, YLT). Thus, when we say that he is the fulfillment of the prophesied “other angel” in Revelation 7:2-3, what we mean is that he is a messenger of God, a man sent by God.